Washington, D.C. (July 15, 2010) – The White House Office of the Press Secretary released a statement Thursday from Deputy NSC Spokesman Ben Chang on the topic of the visit of National Security Advisor General James Jones to New Delhi. On July 14 and 15, National Security Advisor General Jones visited New Delhi at the invitation of his Indian counterpart, Shivshankar Menon. While in New Delhi, General Jones met with NSA Menon and other senior Indian officials to discuss the full range of key bilateral issues that face our two countries, including regional security, cooperation in Afghanistan, and trade and economic relations. General Jones also discussed preparations for the upcoming visit later this year by President Obama and his hope that the visit will be a demonstration of the strong cooperation and enduring partnership between the United State and India. 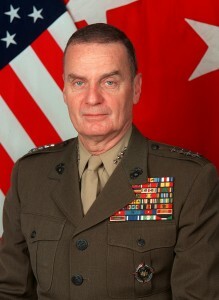 General Jones’ successful visit also served to reinforce the strategic partnership between our two countries – defined by a foundation of common principles and values – and to map out further those areas in which mutual cooperation can lead to greater prosperity, security, and progress for both our countries and the world. In addition to NSA Menon, General Jones called on Prime Minister Singh, Minister for Home Affairs Chidambaram, Minister for Defense Antony, Chairman of Chiefs of Staff Committee Naik, and Leader of the Opposition Jaitley. General Jones expressed his appreciation for the hospitality and warmth of his interlocutors and the people of India.